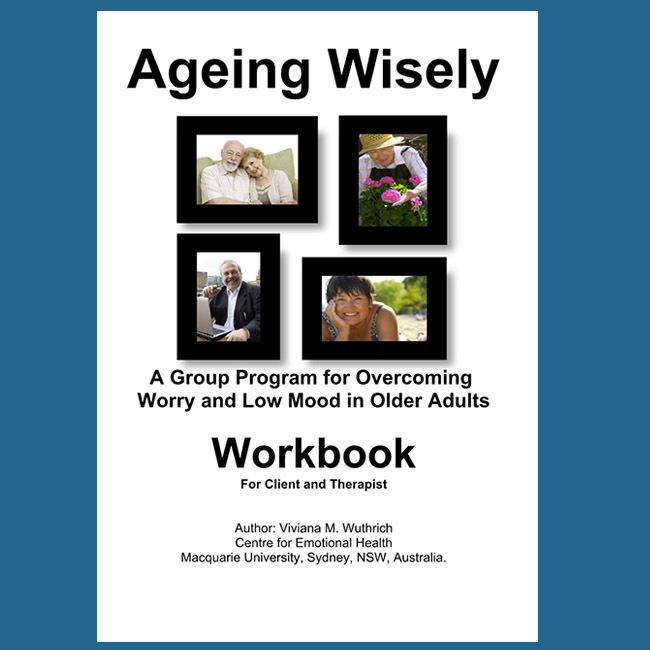 Ageing Wisely is a cognitive behavioural therapy group program for older adults (60+ years) with anxiety, low mood and/or depression. The program has been specifically designed to assist learning in older adults. The Workbook which is both a therapist manual and participant workbook guides the therapist and client through the 12 week program. Each client requires their own workbook.